A Dale Brown personal appearance, Dale Brown speaking engagement, or Dale Brown endorsement will reflect well on your company. To hire Dale Brown now for any corporate appearance, fundraiser, motivational speaker event, personal appearance, autograph signing, or website endorsement please contact our celebrity agents at 1-877-6-SPORTS. We will contact Dale Brown or contact Dale Brown's agent and provide you with the booking fees and availability immediately upon your request. Direct Sportslink is the only sports speakers bureau and talent booking agency based in the United States securing only sports talent for corporations, associations, and organizations for motivational speaking engagements, personal appearances, and endorsements. We are the premier sports celebrity booking agency and a sports celebrity procurement expert. Accordingly, we will provide you with any relevant Dale Brown website information and booking agent details so that you can hire Dale Brown for your next event. 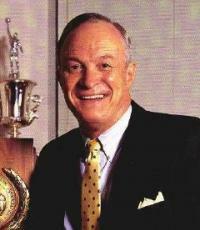 Dale Brown is the winningest coach in LSU men's basketball history and led the Tigers to Final Four appearances in 1981 and 1986. He coached the team for one quarter of a century. 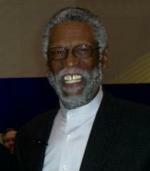 He is also remembered as one of the most vocal critics of the NCAA during the 1980s and 1990s. Brown is originally from Minot, North Dakota, where he was a star football, basketball and track performer. He came to LSU in 1972, and replaced Press Maravich as head coach. The LSU program had received great notoriety during the Press Maravich era because of his son, Pete Maravich. In spite of the publicity, however, LSU was still a losing program, making no NCAA basketball tournaments and one NIT appearance during the Maravich Era. Brown took over a team that finished 10-16 in the 1971-1972 season and a program which had not been to the NCAA tournament since 1954. He led them to be recognized as one of the elite basketball teams in the SEC and a nationally known program. After his departure from LSU, Dale Brown kept a low profile in his involvement with LSU athletics. He stayed in Baton Rouge after his retirement and created his own business, Dale Brown Enterprises. 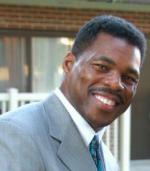 Brown has also worked as a college basketball analyst and motivational speaker. In the summer of 2007, Brown appeared on Shaq's Big Challenge offering words of encouragement to Shaquille O'Neal about helping overweight children. Brown has also written a book about his LSU experiences, called "Dale Brown's Memoirs From LSU Basketball." Based on your interest in Dale Brown as a speaker or for a personal appearance, Direct Sportslink has provided you additional links below for other sports talent with similar appearance fees, speaker topics, and categories that match Dale Brown.